When I was packing up the Christmas decorations, I cam across a box of stuff from high school. Inside, were two books from a literary contest for the county that I won, and a literary magazine that I was editor for. The box was ruined and the books were damaged. I brought them down from the attic and ripped out my stories and poems and decided I would share them on here. One that I wrote is about photography, so I thought today would be a good time to share it. You don’t take a photograph, you ask quietly to borrow it. Spinning aimlessly through outer space. Dipping into a moment to stop time. But does the action ever cease? 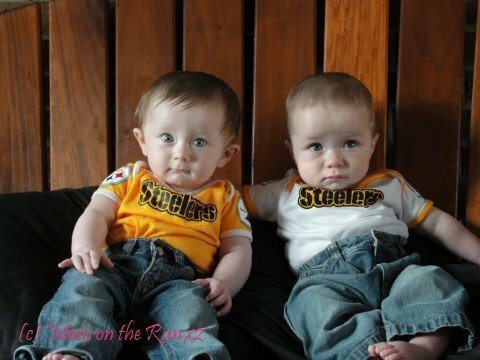 They don’t look too thrilled to be garbed in Steelers clothing. Purple and black would look better.